In places vast accumulations of sand weighing millions of tons move inexorably, in regular formation, over the surface of the country, growing, retaining their shape, even breeding, in a manner which, by its grotesque imitation of life, is vaguely disturbing to an imaginative mind. And much more! But the discovery that I’d like to focus on today involves potential detection of an interesting chemical compound in a few select teaspoons of martian soil: Perchlorate salts. The internet has been going batty over the past week or so, first with rumors that the Phoenix team had discovered “something really interesting” and “provocative”, then all of this week with confusion over the announcement of perchlorates. While there’s tons of information (and non-information) floating around about the discovery, I haven’t found any in-depth looks at perchlorates. So here’s mine. A perchlorate is made of a chlorine atom bonded to four oxygen atoms (ClO4), making an anion. An anion is the negative half of a salt molecule, like the Cl in NaCl (table salt). So a perchlorate doesn’t exist on its own as a solid substance, only attached to a cation, like sodium (Na) or ammonium (NH3). 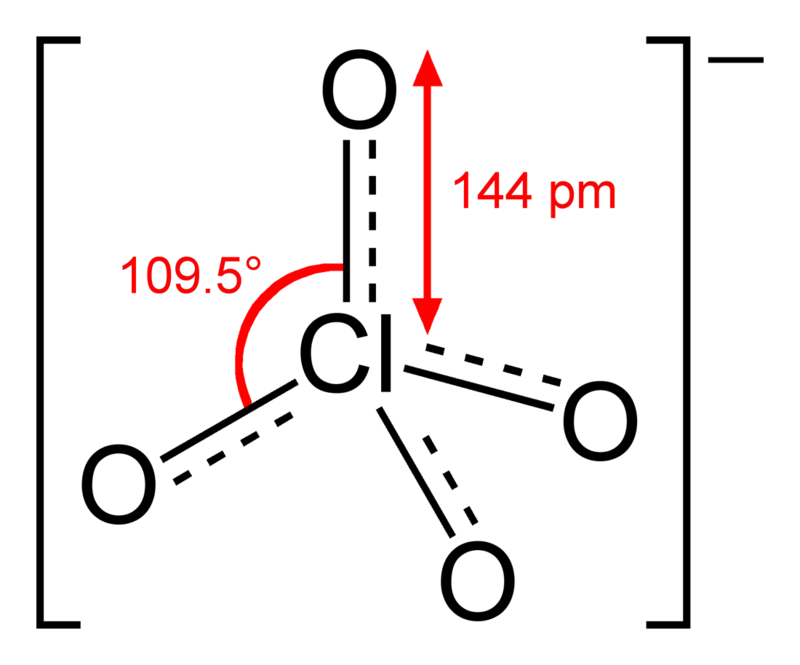 Perchlorate can exist on its own when the solid salt has been dissolved in a liquid, which causes the cations and anions to split apart, making a solution. Perchlorate is an oxidizer, which means that it tends to react with other compounds. This is especially bad when combined with organics, and the presence of such oxidizers on Mars may have implications for past or present life on Mars (see below). How did Phoenix detect perchlorates? Phoenix has 2 main instruments to investigate soil chemistry. The first is the wet chemistry lab on the Microscopy, Electrochemistry, and Conductivity Analyzer (MECA). MECA dissolves a sample of the soil in a water-based solution and does various tests to figure out what ions and anions are present. MECA detected perchlorate ions in 2 soil samples. The second soil chemistry instrument is TEGA, or the Thermal and Evolved Gas Analyzer. TEGA bakes soil samples to high temperatures, and analyzes the gases that are released along the way. TEGA has also analyzed 2 soil samples. Interestingly, while TEGA did detect oxygen in one sample, but not the other, it did not detect chlorine in either. In other words, TEGA could not positively confirm the detection of perchlorates. At this point, the results are too inconclusive for the team to make a concrete statement about the presence or abundance of perchlorates in martian soils. So, the answer is: we don’t know. All we can say is that some of the results are consistent with perchlorates. 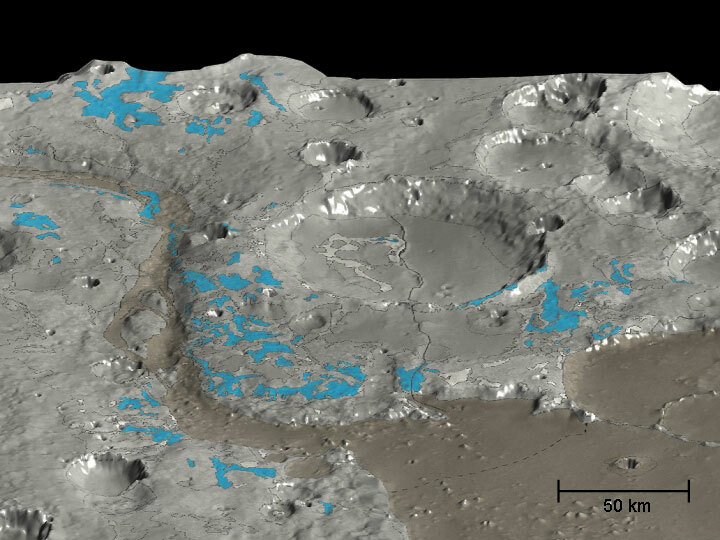 How did perchlorates get into the martian soil? The easiest way that perchlorates may have gotten into the soil samples is via Phoenix itself. Perchlorates are a common industrial compound on Earth, and, most notably, ammonium perchlorate is often used as a component of solid rocket fuel. While Phoenix’s retro rockets that landed it on the surface used a fuel that probably did not contain perchlorates, the vehicles used to launch Phoenix from Earth may have. Another wrench to throw in this cog is that the soil samples were taken from below the surface, and probably were not affected by the landing. Perhaps the scoop or MECA itself was contaminated earlier? These are all possibilities the Phoenix team is considering. Alternatively, the perchlorates may have been formed on Mars. In the lab, perchlorates can be created by evaporating the right kind of acid. 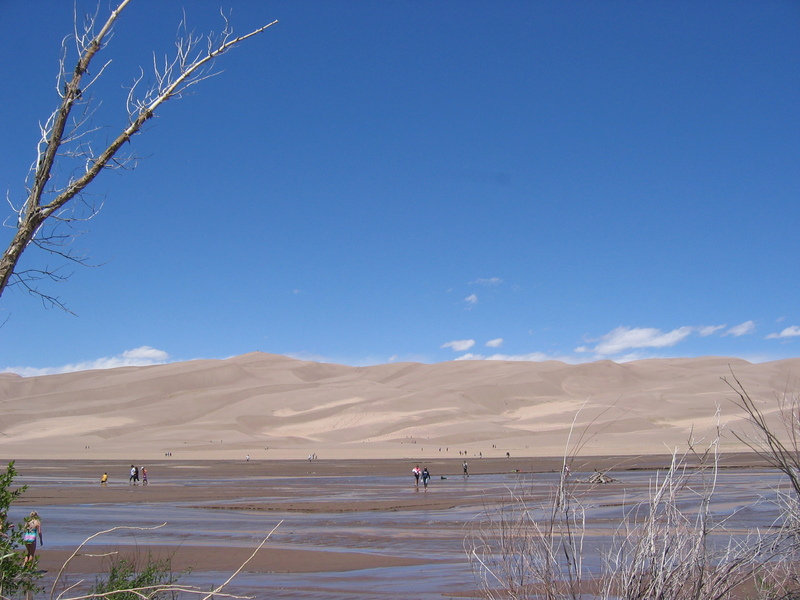 However, perchlorate salts also occur naturally in Earth in extremely arid environments, like the Atacama desert in Chile. One study has shown that these salts can form by exposing typical chloride salts (think NaCl) to sunlight or ultraviolet light for long periods of time (months). 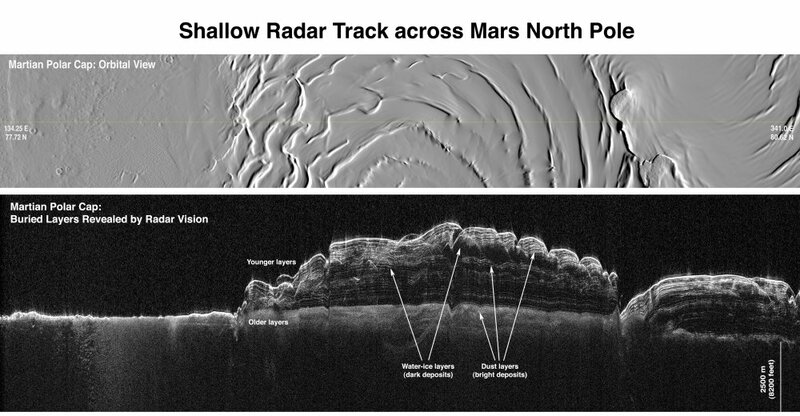 This is a pretty appealing case for Mars, since certain salts that often form with chloride salts have been detected all over the north polar region (ref: my thesis! 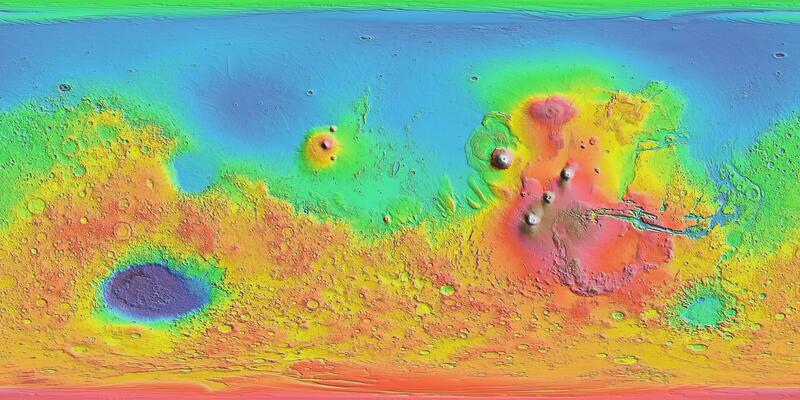 ), and the surface of Mars receives a ton of UV through the thin atmosphere. If perchlorates or other oxidizers are abundant in the surface soil layer on Mars, this is not a good sign for finding signs of past or present life on Mars near the surface. Prolonged exposure to oxidizing agents (not to mention ultraviolet and cosmic rays) would destroy almost all organic molecules, leaving little to no trace or organics for us to pick up. However, if the primary oxidizing agent is perchlorate, the news might not be quite so dire. Perchlorate is one of the slightly more benign oxidizers, since it tends to react more slowly than most. Also, if it was formed by breakdown of chloride salts at the surface, it probably is only present near the surface. Lower soil layers may not be as much at risk, and the deeper subsurface might be free of oxidants all together. So, we’ll have to wait and see what the Phoenix team learns from their results and future tests. We’ll keep you updated. 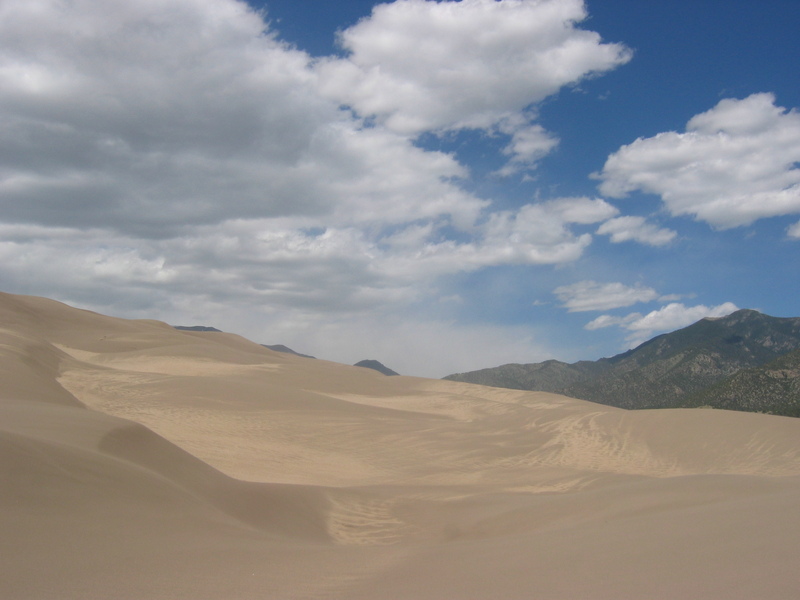 We had another great day at Great Sand Dunes National Park and Preserve today, with lots of pictures, but it also involved a lot of hiking and I’m tired. So instead of a full post, I will refer you to my adviser’s post about our first day at the dunes, over at the Planetary Society blog. I’m also stealing the image that he posted over there, comparing granule ripples on mars to the ones that we saw at the dunes. Can you tell which one is Earth and which is Mars? Check Jim’s post to find out. Comments: Comments Off on Which is Earth? Greetings folks! I’ve been silent for a few days because I am in the midst of a lot of traveling. On Monday, Tuesday and Wednesday this week I was at a team meeting for the Mars Color Imager (MARCI) and Context Camera (CTX). Rather than spend a lot of time explaining what that means, I will do what I always do and link to the planetary society blog. 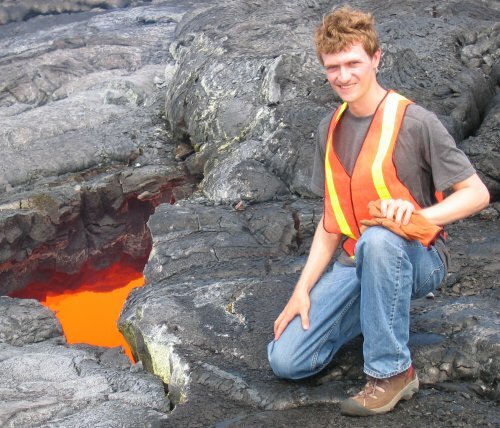 My adviser Jim Bell is guest blogging over there while Emily is on vacation, and he explains MARCI and CTX very nicely. 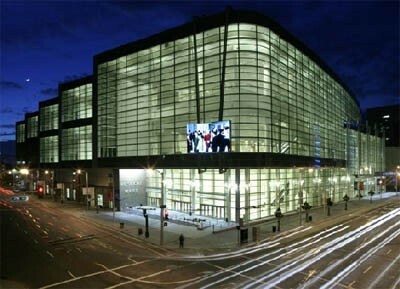 After that meeting, Jim and I flew down to Denver, Colorado and met up with Briony and Melissa. We then drove all night to get to Alamosa. 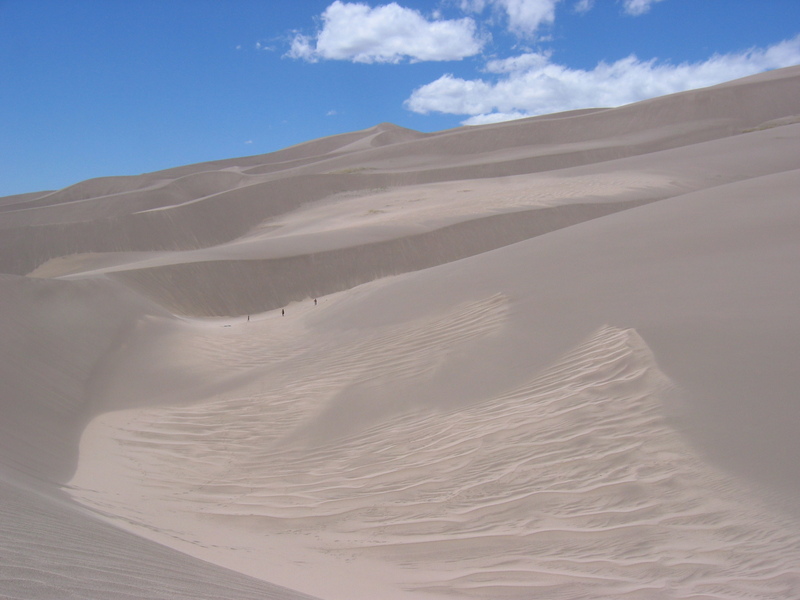 After a few hours of sleep, we met up with a couple of colleagues who are sand dune experts and headed out to Great Sand Dunes National Park and Preserve. As you can see, there is a stream to cross before reaching the dunes. This stream acts as a conveyor belt for sand: the wind blows sand from the dunes into the stream, which washes the sand back upwind so it can be lifted by the wind and become part of the dunes again. The beautiful, lighter-toned ripples in this view are made from coarser, more quartz-rich sand grains than the surrounding dunes. Here we are setting up a GPS station. 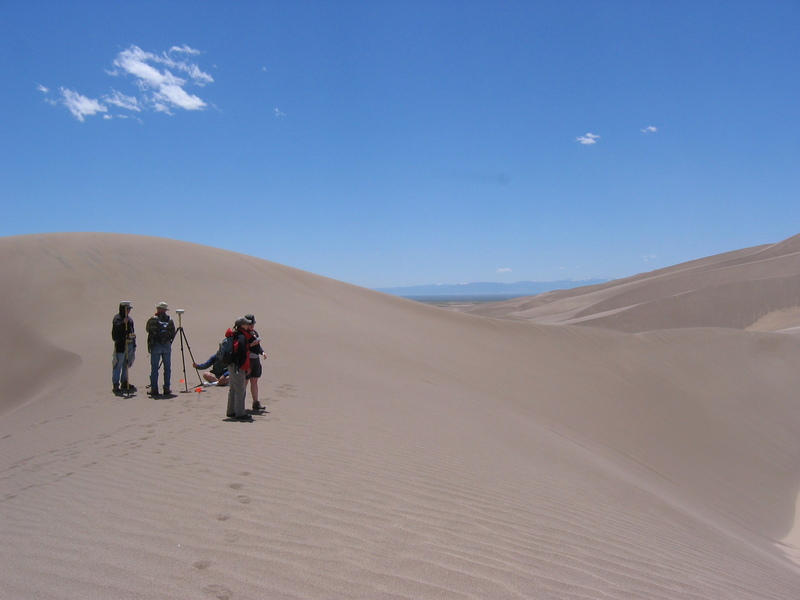 To goal of the day’s field work was to use GPS to measure the shape of several dunes very precisely. Blue sky, mountains, dunes. What this beautiful view doesn’t convey is the sandblasting that we received as the afternoon winds picked up. And finally a panorama of the dunes, as seen from the visitor’s center in the afternoon light. Click for a much bigger version! Can you find the people in this picture? Stay tuned, I’ll have more dune pictures tomorrow, and then we’re all heading up to Winnipeg Canada to visit some Mars-analog locations. Comments: Comments Off on Sand Dunes!